The women's bath is enclosed within brown and dark walls of wood, while the bath for men next door is open onto the gorgeous view of snow capped mountains, symbolising the difference in the perception sexes in India. Yet, in the women's bath, incense and candles are lit, no clothes are necessary, and over giggles and girlie conversations, over borrowing of oils and body butter, I saw a beautiful bond strike between women from the West and local women from the East. Despite the language barriers, and the socio-cultural difference, in the steamy, surreal candle-lit Himalayan bath, we were all, beneath our differently shaded skin, just women at heart. ​It is said that after the death of his wife, Lord Shiva sat in meditation at Kheer Ganga. The setting is idyllic, lush green, surrounded by snow peaks. Kheer Ganga is and cold in the summers, and closed for the winters. The mountain slope has a hot and a cold spring of pure mountain water flowing down on either side. A stone bath is constructed, where the hot spring flows makes the best natural bath I have had at 3,300m in the Himalayas. Like many small heavens of Himachal Pradesh, Kheer Ganga is also known as mini Israel, with hoards of the peace loving Israeli trekking up to Kheer Ganga each year. 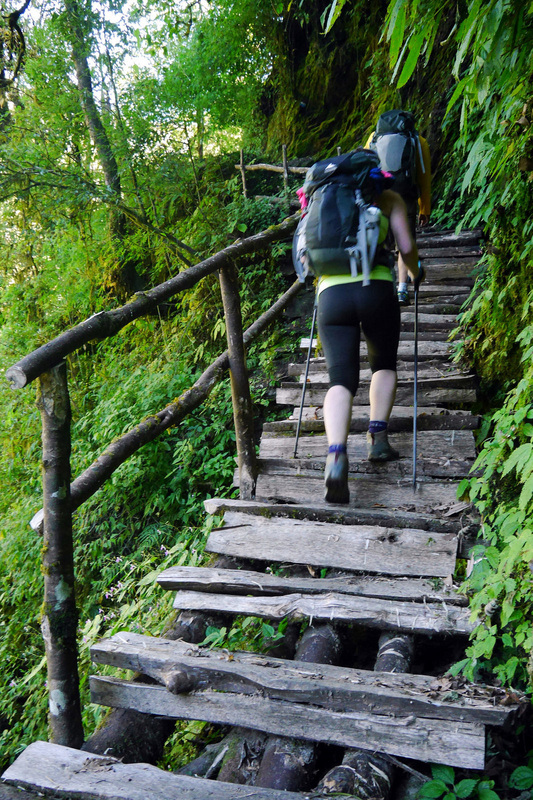 With the track improving each year, the only way to reach Kheer Ganga is a four to five hour trek from Barshani in Parvati Valley. There is almost no electricity, except for the little that is generated by privately owned solar panels, and no cellphone coverage. The few rooms fill up relatively fast, although I wouldn’t recommend staying in the rooms for they get terribly cold at night. Some travellers stay in caves, while others bunk inside one of the three restaurants. The restaurants are the coziest options, my favorite one being Lotus (picture above). Equip with locally crafted fireplaces, the restaurant floor is covered completely with carpets, rugs, mattresses and cushions. 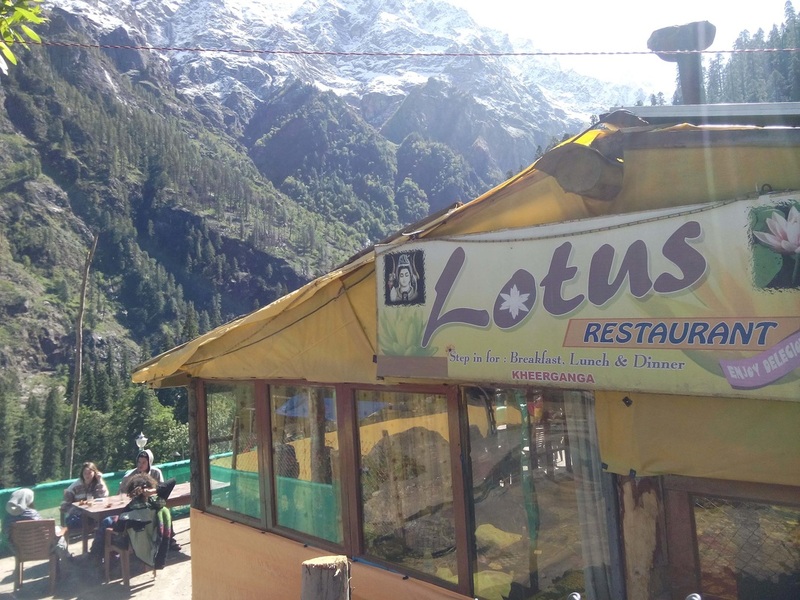 The Lotus looks like a cross between an eatery and a dormitory. It costs INR 100 per night (in 2015) to stay here. TIP: carry your own sleeping bag. For over a decade now, Kheer Ganga had been home to the unique Rainbow festival. With natural hot springs, a view to kill for, and the priceless experience of pristine nature, Kheer Ganga is a lovely place to get lost in nature for a bit.